This week I’ve been extremely lucky to be invited along to not one, but two fantastic places within France, courtesy of the French liqueur Bénédictine. Following on from their nationwide cocktail competitions from the past few weeks, winners from Glasgow, Nottingham, Manchester and London came together, alongside the Bénédictine team and fellow media representative Gary Sharpen of The Cocktail Lovers, to enjoy a three-day trip. With an itinerary that included the likes of a tour of the Bénédictine palace, the distillery itself and a cocktail safari of some of the best bars in Paris, the trip was one that I personally had been looking forward to. 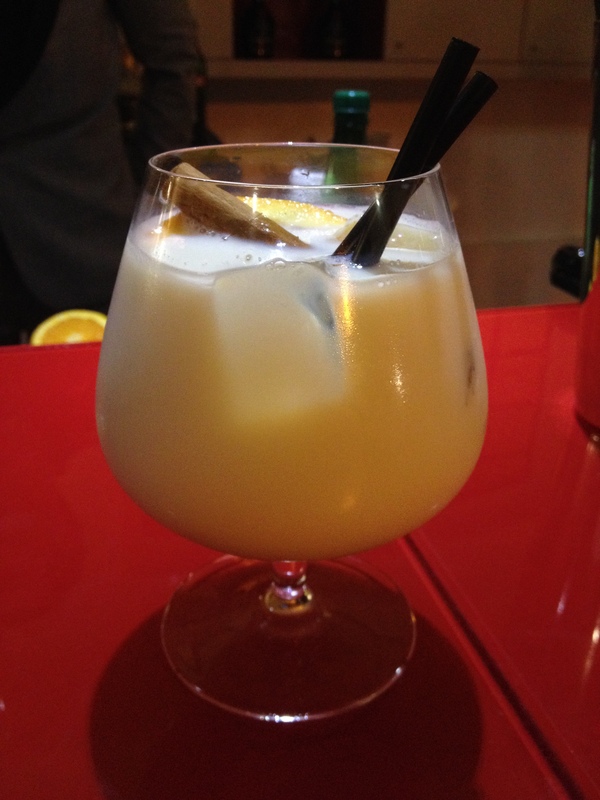 Pour Bénédictine into the glass, add ice, and top up with cold milk. This recipe can also be done with soya milk or hot milk. Garnish with orange slice and cinnamon stick. Another classic he created for us all was the original Sling, as well as the Singapore Sling version, the Bobby Burns and the simplistic Big Ben. This really showed us the versatility of this herbal liqueur, going from adding tonic water or white grapefruit juice, to combining whisky or cognac to create a powerful yet satisfying drink. 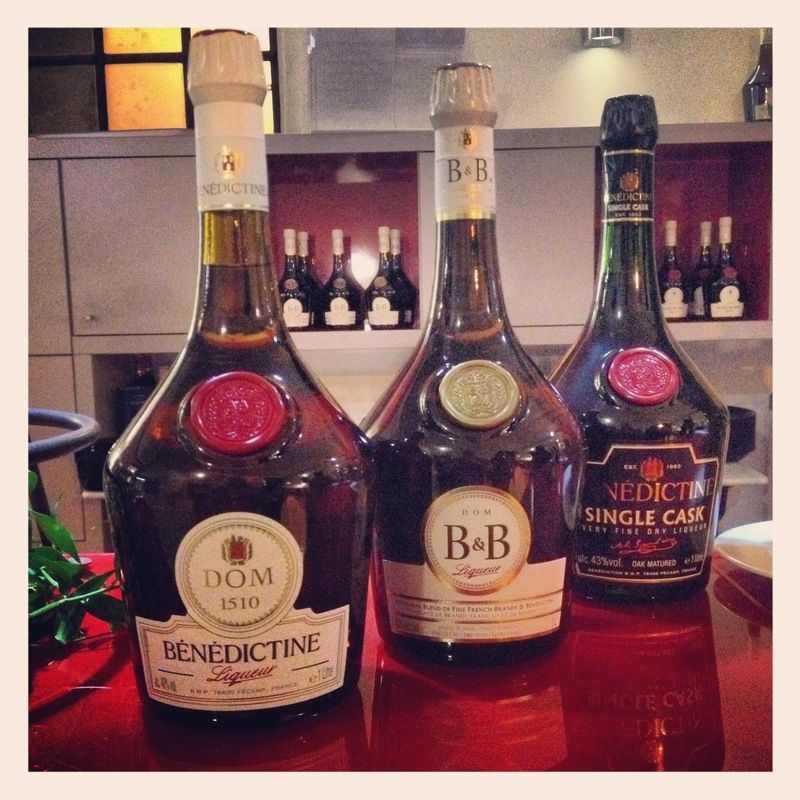 Of course, plenty of Bénédictine straight or over ice were on offer, including their lesser known B&B (Bénédictine and Brandy) and their Single Cask variety – a spirit that is only available to purchase within the palace itself. Dinner came straight after the class, with the evening being held within a rather stunning room named the Abbots Hall. Here, a three course meal was prepared for us all, with scallops to start, duck and sweet pear with veg for mains and a variety of cheese for dessert. This also gave us the chance to get to know the rest of the group, including Philippe Jouhaud, the Sales and Marketing Director at Château de Cognac within Bacardi (the owners of Bénédictine) and our guide for the three days. A nightcap of Bénédictine back in the Winter Garden of the palace (an indoor conservatory decked out with chairs, tables and Bénédictine memorabilia) finished off a long but fantastic day. Our second say began with a walk back to the Bénédictine palace where we were going to be given a tour of both the palace as well as its distillery within. 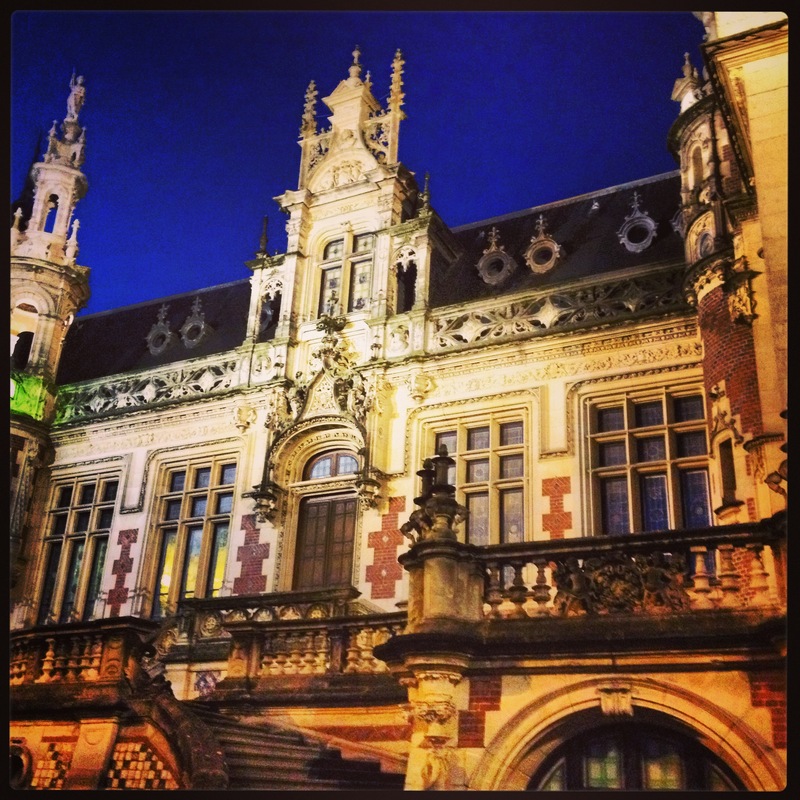 We checked out the history of the Abbey of Fécamp, the birthplace of Bénédictine back in 1510, and were shown some extremely rare artefacts from the palaces archives, including an authenticated signed charter from William The Conqueror. The palace also holds the original still that Alexandre Le Grand used to re-create the recipe in 1863 that Benedictine monk Dom Bernardo Vincelli had created all those years ago. Drapes of its cutting edge advertising techniques were also shown, as well as a large cabinet full of counterfeit bottles of Bénédictine that have been found from all over the world. Our next port of call came the distillery itself where it takes two years for the creation of the liqueur. Under the watch of the Master Distiller, the mixtures of plants and spices go to make four secret preparations. The process begins by infusing each preparation in super-fine alcohol. Each preparation is then distilled slowly within copper stills, or even double-distilled, depending on the ingredients in it. These initial stages produce four alcoholates, also known as “Esprits”. The four Esprits then age for three months in oak casks. This maturing period allows the essences extracted from the distilled plants and spices to mix together. Once the Esprits have aged separately, they are blended together. This mixture will then rest for eight long months in a large oak barrel. The elaboration process continues with the final blend – honey and an infusion of precious saffron are added. Once added, it is heated to 55°C. The final blend is then aged in large oak barrels for four months. This final ageing process is necessary to put the finishing touch to the subtle balance between the ingredients. After a quick hit of Bénédictine before we left, we walked down to the sea front for a spot of fresh fish lunch at La Marée (including a Bénédictine filled crème brûlée) before catching the double-decker train (yes, you read that right) to Paris. With a hotel within the fashion district of Paris and only a two-minute walk from The Louvre, we were ready for our cocktail safari, visiting five of the best that Paris has to offer. With well-known trade representative Marie Delaporte of Bacardi at the helm, she took us to our first bar of the evening, Le Forvm. A gin Martini was my tipple of choice to begin the evening, with the others going for some specially created Bénédictine cocktails or a choice off their cracking menu. Little Red Door was our next port-of-call, with cocktails using the likes of Makers Mark, Mozart chocolate bitters, Campari and Bénédictine on offer. A great venue, with our group situated on the mezzanine level looking over the bar and the famed little red door. A spot of food was the next stage, La Conserverie the host. With some signature Bénédictine cocktails created by the team (a favourite of the night for me which combined Laphroaig, Antica Formula and Fernet Branca) and platters of meat, bread and cheese on offer, it easily sticks in my head as one of the quirkier venues we visited, but a charm that i would love to go back and see again. Soon after, we were on our way to Curio Parlor. A bar complete with stuffed foxes and peacocks adorning the walls, gave us some of their Bénédictine creations. I though was getting ready for our last venue of the evening, Park Hyatt. This 5* hotel boasted some of the most expensive cocktails I’ve come across, but my my were they good. The highlight? 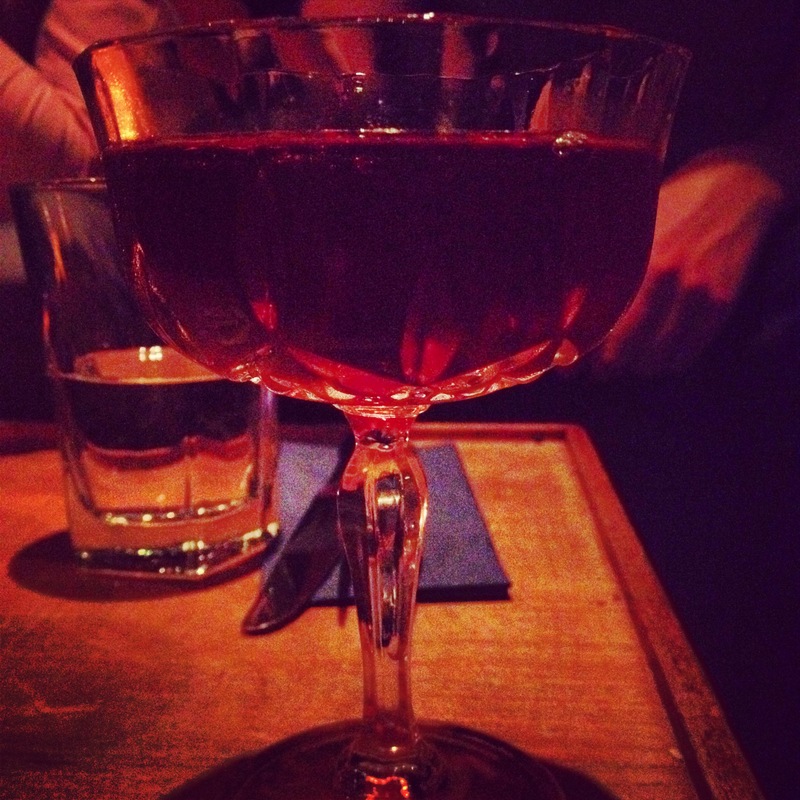 La Parisien Cocktail – Bénédictine, rye whisky, Martini Rosso, Peychaud bitters and Ardbeg. To die for! An early start for me as we had a couple of hours to pass the time with a spot of sightseeing of Paris, taking in the Eiffel Tower, Arc de Triomphe and the Avenue des Champs-Élysées. A taxi ride back to Gare du Nord train station to catch the Eurostar started the long journey back to London and Manchester. Highlights? The Palais de la Bénédictine with the tour of the rooms and the distillery itself. Having dinner within the Abbots Hall will always be remembered, as well as visiting the Paris bars of Le Forvm, Park Hyatt, Little Red Door and La Conserverie. This was the first time I’ve visited France and Paris, so even the sightseeing aspects were a bonus for me. The trip has given me a greater idea of how versatile Bénédictine is, as well as seeing how well-loved the brand is here in its home country. It’s always great to put pictures into perspective too, and the chance to see a liqueur distillery (a very different affair compared to your gin or whisky set-ups). A trip I didn’t want to miss, and I’ll happily go back again. Also, watch out for a great little video that will be hitting the web very soon, courtesy of the guys from MC2tv. I won’t spoil the surprise, but I can safely say it puts a different view on the journey undertaken! Check out a whole host of photos via my Facebook page of Day 1, Day 2 and Day 3. Check out my piece on Bénédictine as well as tasting notes for all three of their expressions here.